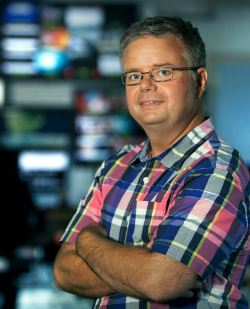 Morten Brandstrup: IP newsgathering with 4G. The technology behind newsgathering has changed out of all recognition in the past few years giving journalists the freedom to roam in ways that - not long ago - were unimaginable. In the year of the US elections, that freedom for one reporter at TV2 in Denmark has meant getting on a bike and cycling 5,000 kilometres across the country.